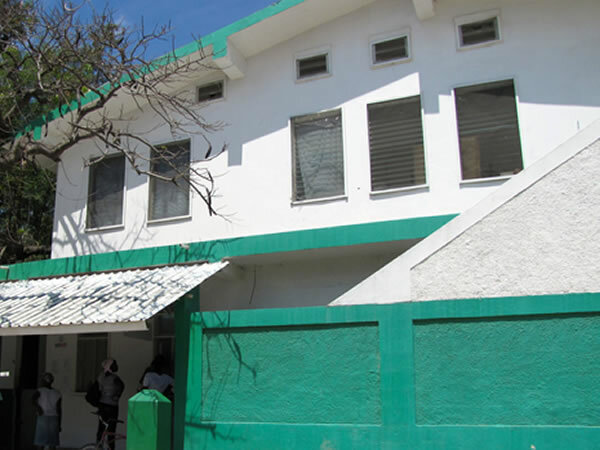 The Hospital Claire Heureuse, located 100 miles north of Port-au-Prince was first opened in October 1986. Prior to this, there was a small non-functional government medical center in the same location. After several requests and appeals by the then inable local government, the Free Methodist National Church agreed to take control of the unkempt health center previously run by inefficient, absentee physicians. Today, Hospital Claire-Heureuse in Marchand Dessalines is also known as Dessalines Rural Health Care Project or D.R.H.P. With 60 beds of inpatient facility, the hospital is a thriving center for local inhabitants with tuberculosis, HIV, maternity, neo and postnatal care treatments. Every day, the out-patient clinic is visited by about 100 patients. With its 87% Haitian staff, it delivers about 1300 babies a year and offers laboratory, ultrasound and X-ray services. They have a Red Cross transfusion center and receive USAID funding.